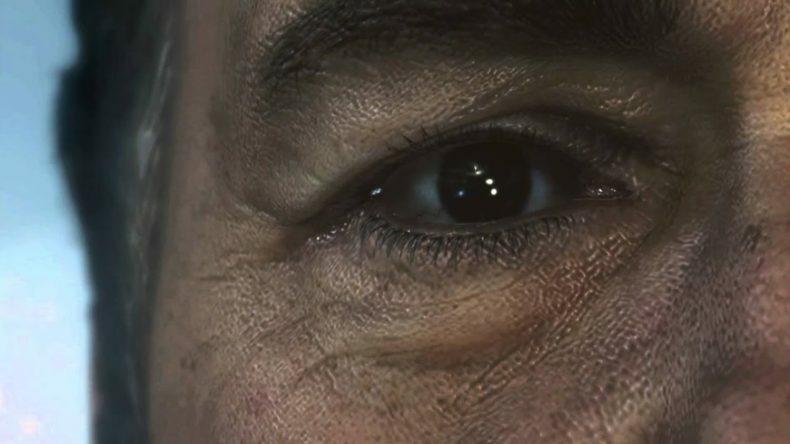 Next Call of Duty Features Private Military Contractors, Kevin Spacey? Activision has dropped a few teases about Sledgehammer Game’s upcoming 2014 Call of Duty game today. Full details of the game will be released this Sunday, according to a new countdown website, http://www.callofduty.com/new-era. Activision also released two new videos teasing the game. The most interesting one is a short clip, embedded above, that some speculate shows actor Kevin Spacey, who is super hot right now thanks to the Netflix hit House of Cards. It sounds and looks exactly like him, although you can only see part of his face. That’s some serious star power if he has a major role in the game. The other video focuses heavily on the role of Private Military Contractors, giving some idea of the next game’s plot. Finally, Game Informer has the first pic from the new game. It seems to show a soldier in powered armor, pointing to a possible futuristic setting. It’s definitely not World War I, as some flimsy rumors from this week pointed to.